The Tundra Mitts are designed to keep your hands warm in very cold conditions. 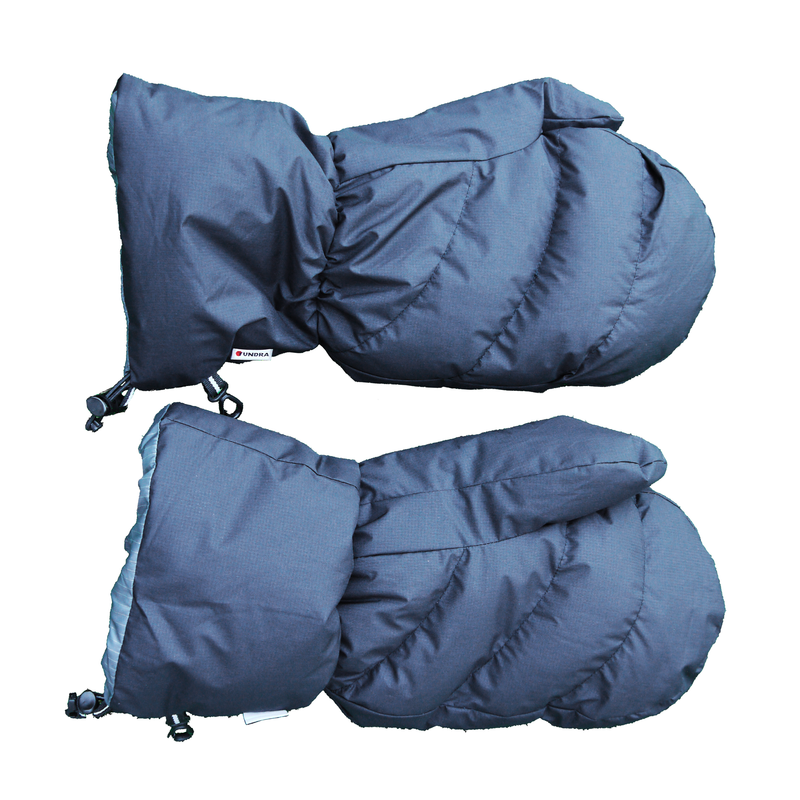 Designed as a long ‘gauntlet’ shape with they feature a knitted elasticated inner cuff to keep the cold and snow out. The fabric is our waterproof Pure & Dry material although it is not waterproof where it is stitched. Two dog clips hold them together to stop you losing them in windy conditions. They come with a simple black stuff sack for storage. ©2019 Tundra Ethical Cold Weather Equipment. All Rights Reserved.